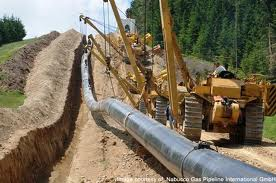 (Mehoopany) – Connection for Oil, Gas & Environment in the Northern Tier, Inc. (COGENT) is pleased to announce a $50,000 grant award from the U.S. Department of Transportation, Pipeline & Hazardous Materials Safety Administration for pipeline emergencies training. These funds will be used for training first responders in Bradford, Sullivan, Susquehanna, and Tioga and Wyoming Counties. The Technical Assistance Grant will provide pipeline emergency training opportunities for approximately 1,500 first responders within the five-county Northern Tier Region.